Under the wire or what??? Just managed to squeeze a bit of time last night to get this tag done while Ken was up the driving range and having a golf lesson - phew. 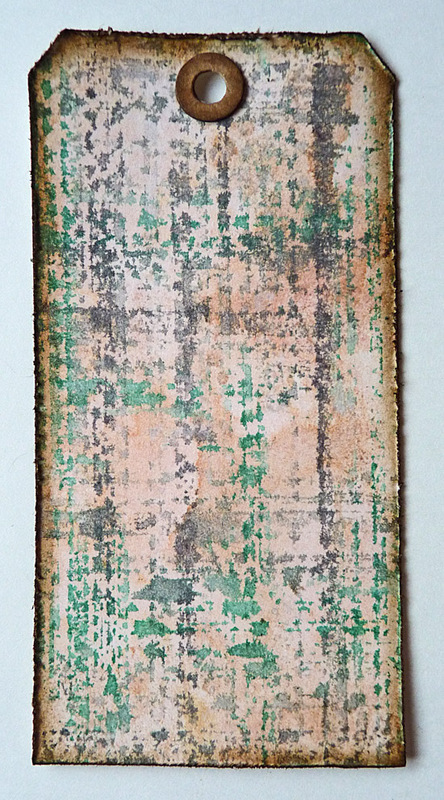 I've had to improvise quite a bit for this tag, I don't have the blending pad so I use distress inks colours directly onto the stencil and went from there. It's a different effect but I rather like it and it's not too dissimilar. The colours I used were victorian velvet, iced spruce, evergreen bough and the new hickory smoke. 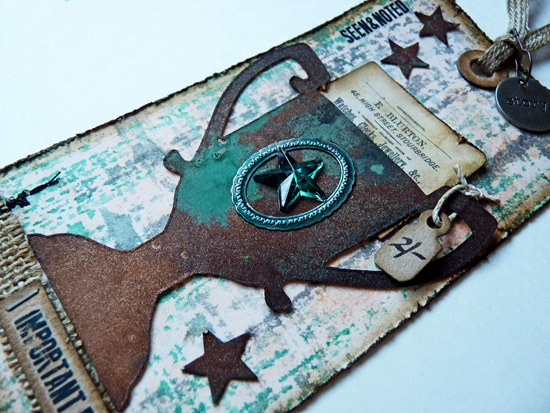 I do have some of the coffee cup die-cuts that Trace sent me but I have already used them this week (see coffee lovers card here) so I decided to use my unused tarnished trophies die and create a tarnished patina effect using distressed products. (I think I feel a tutorial coming on, but I just didn't have time last night). 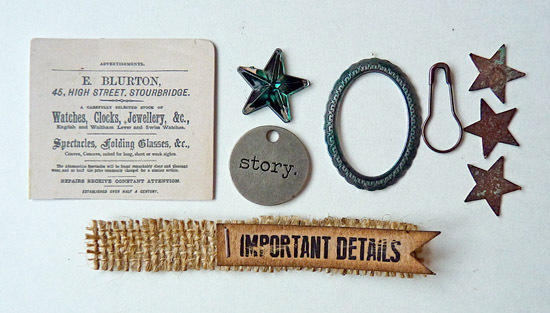 The pieces I gathered together to add to the tag. ...l but the trophy and ephemera is very different with a hand made price tag lol. I am so pleased I managed to fit this in before the end of the month, I shall of course be linking to Tim's June tag link up. Thanks again for stopping by, it's a very busy week here on Bumblebees and Butterflies so I shall see you again wednesday, thursday and friday. 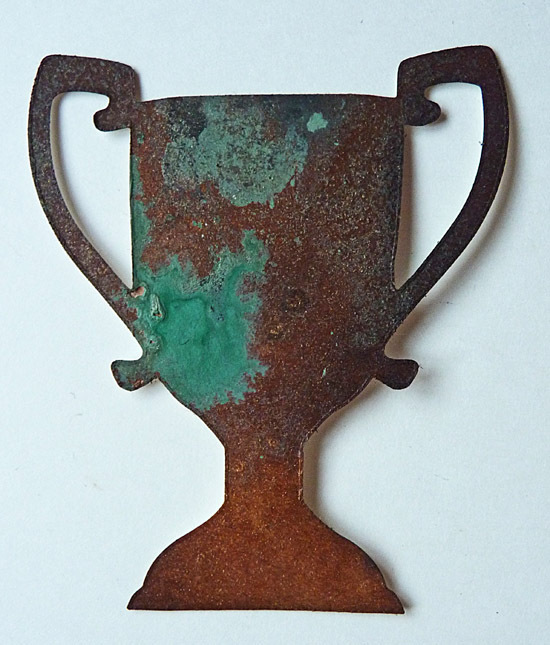 I love the patina on the trophy! A tutorial would be awesome. 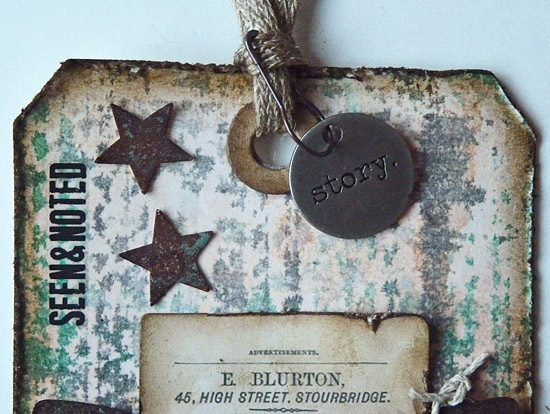 Beautiful tag. Yes please do a tutorial. Would love to see how you create such a great affect! Wooow, Brenda, what a fantastic take on Tim's June tag! This is my favorite! 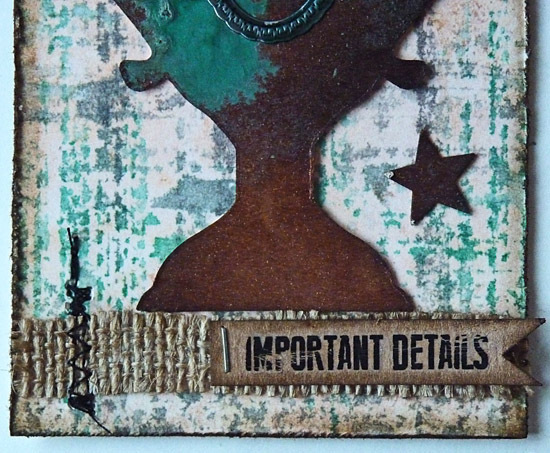 I am totally impressed by this patina effect you've achieved! That would be awesome if you could do a tutorial! Awesome tag, Brenda! Love your take on this month's tag. That's an amazing tag with fantastic details. Opened you email and saw this and WOW - knocked my socks off and yes... I do have on socks - oops - no - never mind... I don't now!!!!!!!!!!!!!!!!!!!!!!!!! This is WONDERFUL Brenda. Love the plaid colors you chose and the different take... just PERFECT. WINNERS CIRCLE from my prejudiced perspective!!! j. Well at least you got it done!!!! 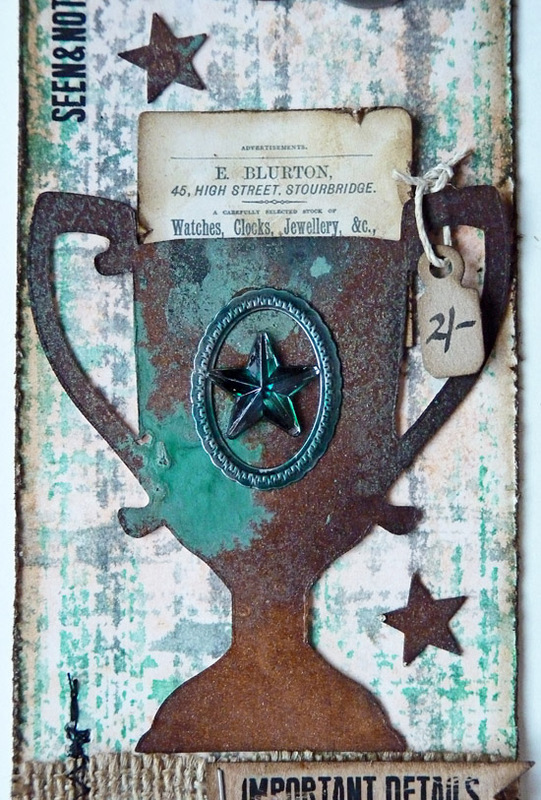 Love the trophy cup take on Tim's tag for July! Great background and rusty goodness! Hugs! GORGEOUS!!! LOVE that trophy and the background colors!!! Improvisation or not ... this is delightful! Brenda what an awesome tag. Love the finished result so much. And your rusty look is FANTASTIC.. So as you mentioned : YES PLEASE share a tutorial ASAP... Your technique looks so very genuine like the real thing..waw !! !